I am so proud -- Mary Ann and I worked together for years, and when she retired in 2009, she became a busy quilter. Every time she visits our office, she is showing me quilts finished and quilts in progress. 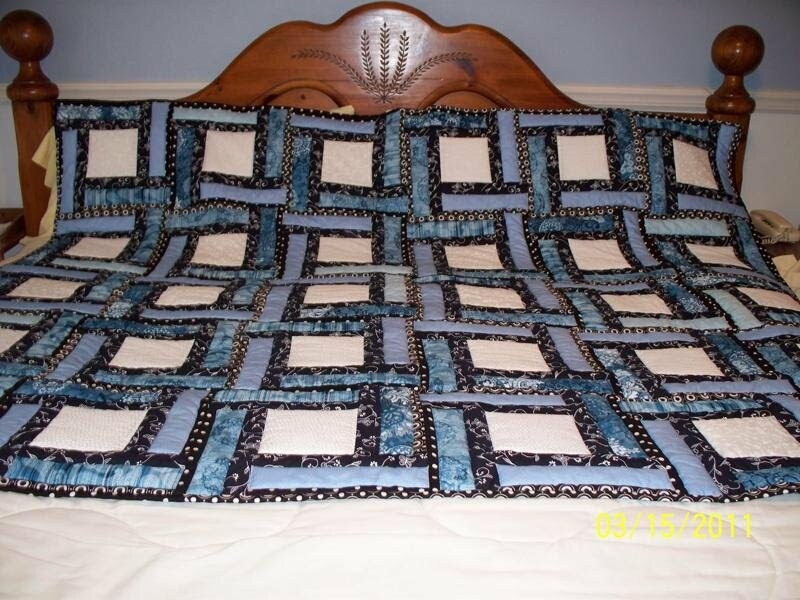 Mary Ann made this quilt from my pattern "Kendra" for her sister who loves blues. I have been missing from the stash reports because frankly, I had not bought anything and had not finished many projects being worked on -- until now. I needed borders and backing for the Black and Gold project, and backing for a special quilt not yet shown here. 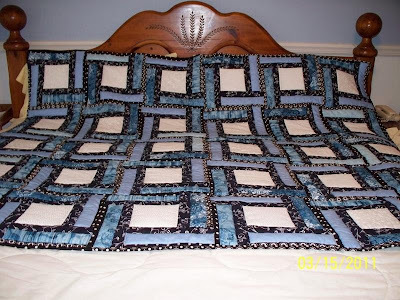 I have been looking for a jelly roll quilt and this is perfect! Have to dig out the jelly rolls and start looking for a coordinate now! Very pretty in the blue fabric. Retirement sounds so good.